There’s a predictable mis-match here, and Messi’s gauge is of course completely full. Sigurdsson is the stand-out player for Iceland as you might expect, with their goalkeeper looking worryingly suspect given the array of attacking talent that Argentina have. 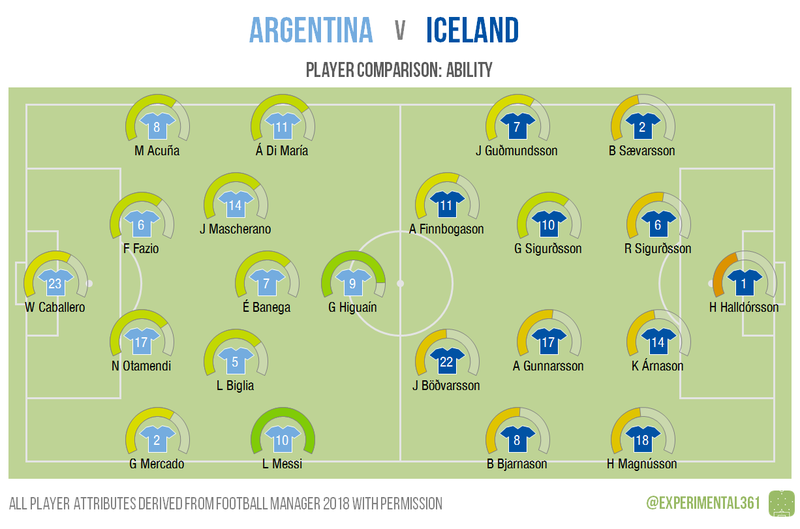 Iceland at least look as though they have plenty of players who can score, with the midfield able to step up if needed and Arnason in defence a danger at set pieces. The two biggest threats are likely to be in Argentina shirts however, as you might expect. In mental terms the sides appear more even, although Mascherano looks a class apart and the Argentinian defence appears less likely to buckle under any pressure. The likely central six for Iceland don’t appear to have any weak links, so if they combine well then the underdogs could have a chance. For all their technical strengths, Argentina’s midfield don’t offer much when the ball is in the air. 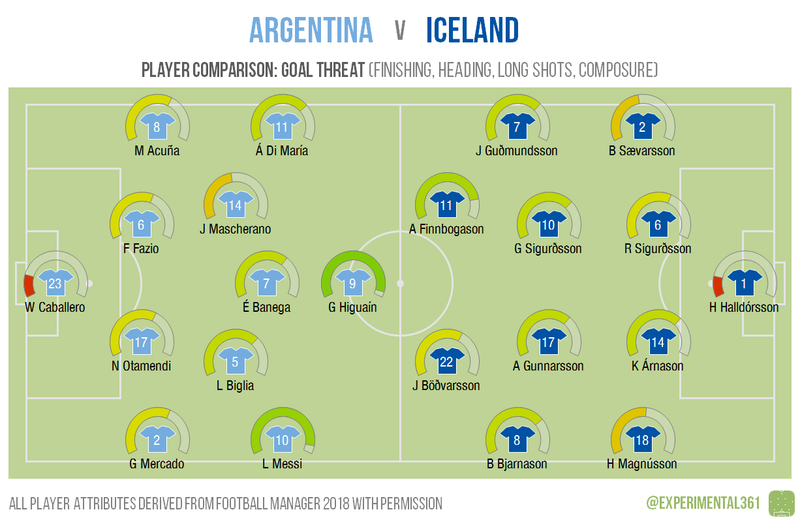 You could argue that they don’t really need to, but this does give Iceland hope in dead ball situations and from crosses, although they’ll still have to contend with their opponents’ formidable central defenders.